The Internet makes many things possible. You can see videos of puppies and babies, babies and cats, cats and puppies or just cats at any time, day or night. You may find yourself giggling maniacally over a gif of a total stranger falling down with the click of a button. Or you could discover a rollercoaster designed to humanely off its passengers. This kind of thing is why I very much love and very much fear what else is out there beyond the catbabypuppy videos. 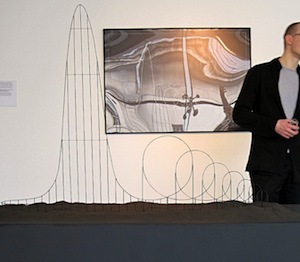 But yes, a deathcoaster, a rolling mortality ender, an ambulatory killing machine — it’s a thing, and I only discovered it via a friend’s Twitter post: “TIL someone once designed a rollercoaster that would humanely euthanize its passengers” with a link to the Euthanasia Coaster entry on Wikipedia. While there’s no theme park that would ever host such a thing, that didn’t prevent someone from designing it and turning into a scale model in 2010, specifically, a PhD candidate. He’d worked at an amusement park said he simply wanted to take lives “with elegance and euphoria,” reads the Wikipedia article. So why would anyone need this? For “euthanasia” or “execution” purposes, obviously…? You can read more about how exactly it works (insufficient supply of oxygen to the brain) but be warned, it might make you want to just stick to videos of cute animals and humans being adorable and not dying or killing anyone on a terrifying Journey To Death. It’s your Internet, people. Use it as you will. Although if you’re already scared of rollercoasters, this might not be up your alley.